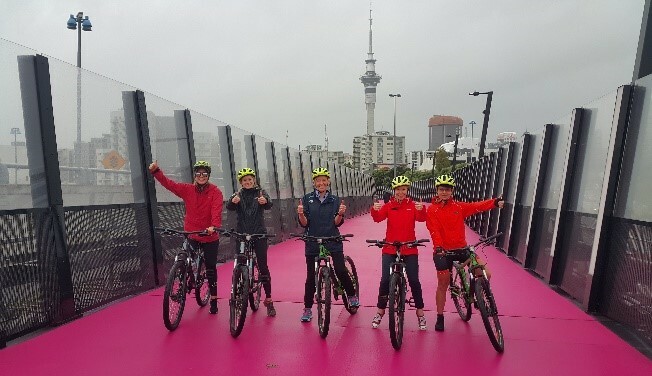 Cycle the waterfront in Auckland with your own private guide, discovering key heritage, shopping, entertainment and recreation spaces in the city. The route follows flat, safe off-road cycle lanes all the way to Mission Bay, a famous golden sand beach on the city fringe. Rate includes private guide, bike rental, helmet and map. Can also be offered to couples and smaller groups; different rate applies. 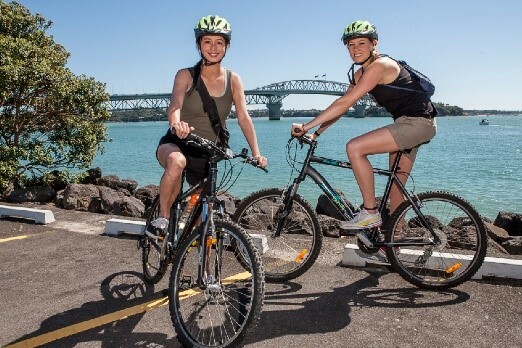 Our most popular guided bike tour in Auckland. Even frequent visitors to Auckland are guaranteed to discover something new on this tour! The routes takes in some of Auckland's most famous sights, as well as hidden gems, including gorgeous inner city parks, creative districts, historic suburbs and leading eateries and pubs. Rate includes private guide, bike rental, helmet, map, light refreshments. Can be offered to couples and smaller groups; different rate applies - email us for more information. 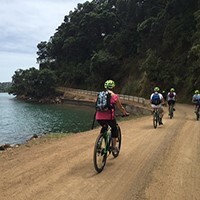 This tour follows an easy biking route along beautiful coastal paths and incorporates a short hike and wine tasting at an iconic winery on the island. Price includes private guide, e-bike hire, return ferry tickets, wine tasting, picnic lunch and bottled water. 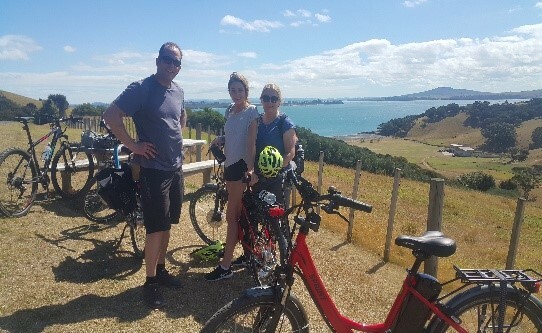 Experience a day to remember on Waiheke Island with this adventure tour that incorporates ziplining with Ecozip, biking through beautiful local parks and alongside stunning coastlines. Rate includes private bike guide, e-bike rental, return ferry tickets, Ecozip, picnic lunch and bottled water.